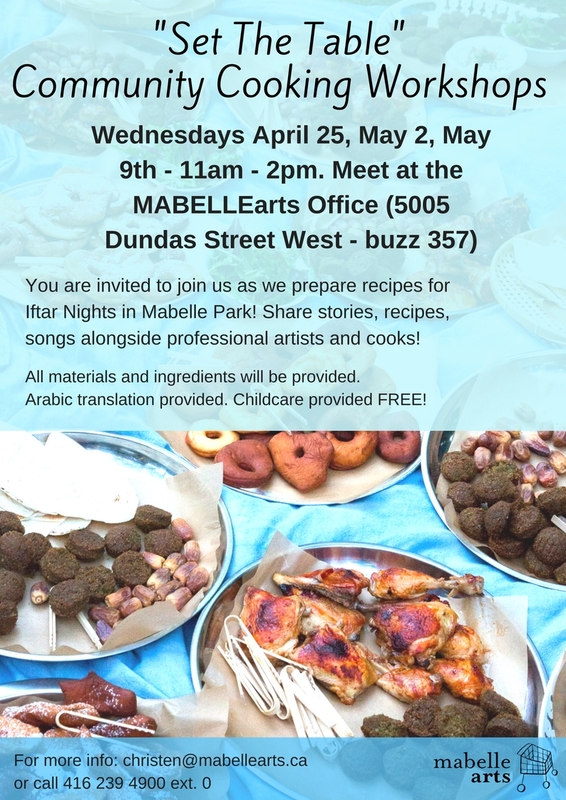 You are invited to join us as we prepare recipes for Iftar Nights in Mabelle Park! Share stories, recipes, songs alongside professional artists and cooks! Enjoy music with Shifra and dancing, led by Roula Said! Artists: Marianne Alas, Shifra Cooper, Leah Houston, Christen Kong, Roula Said AND MORE!